One of the best thing of Easter time is eggs hunting! I loved it when I was a child and now I truly enjoy waking up early to hide chocolates eggs in the backyard for the kids. I also like the family dinner we all have together! We eat to much and always laugh a lot! I’m not the best at cooking but I like to put together a nice table decor! 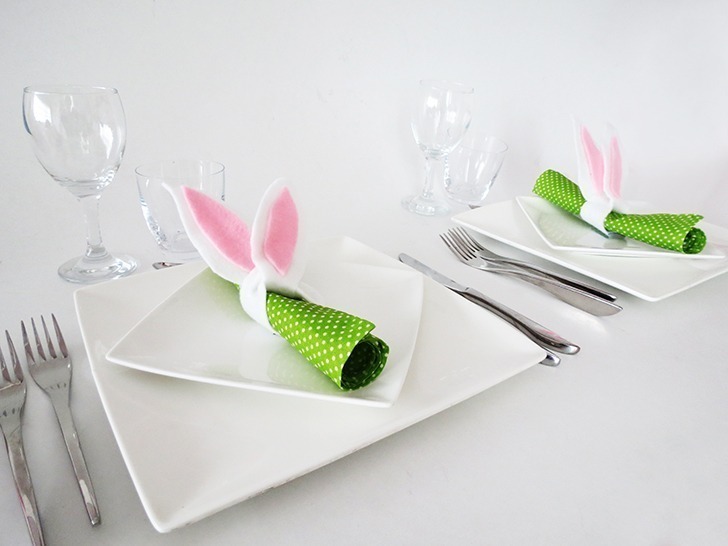 It was really fun and quick to create bunny ears napkin rings with felt! 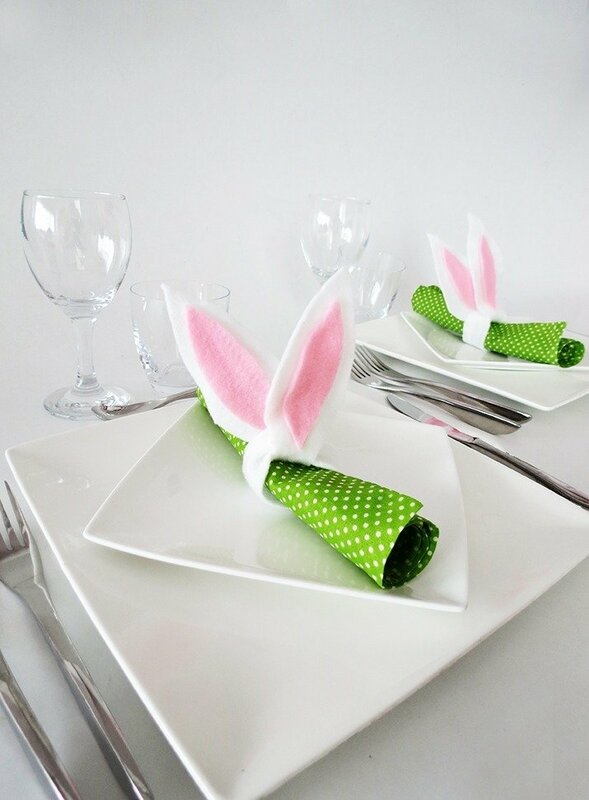 So even if you plan on inviting all the family and friends over, you can easily make a fun bunny ears napkin ring for each one. 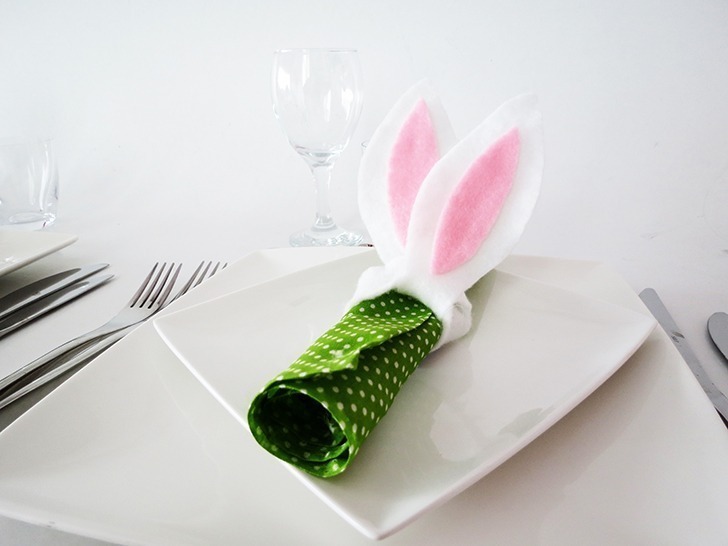 To make bunny ears napkin rings, you will need: white felt, pink felt, a pair of scissors, a glue gun and the free bunny ears pattern, which you can download HERE. 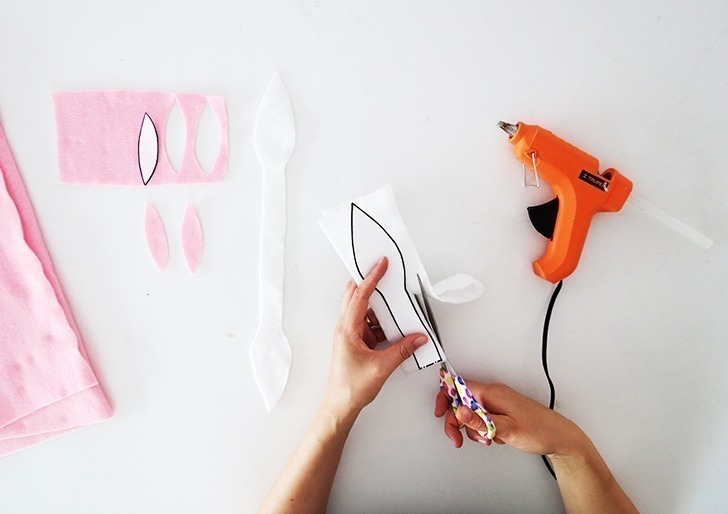 Print the free pattern and cut out both ear shapes. Cut a strip of 15 inches by 2 inches into the white felt. 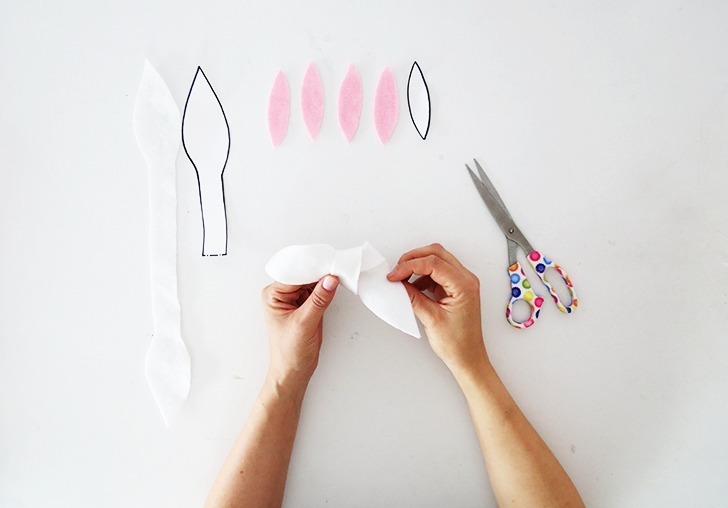 Fold it in the center and place the bigger ear shape over it. The dot line must be place on the fabric fold. Report the shape on the felt and cut the fabric (keeping it folded). 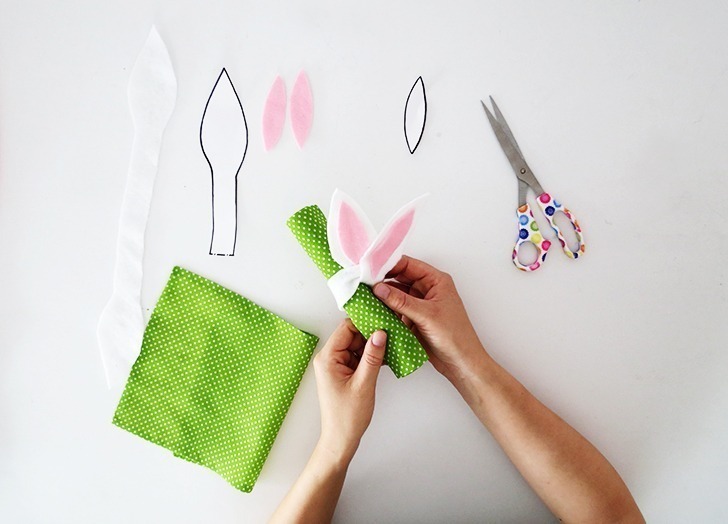 Place the small shape on the pink felt, report the shape twice and cut them to make the inside of the bunny ears. 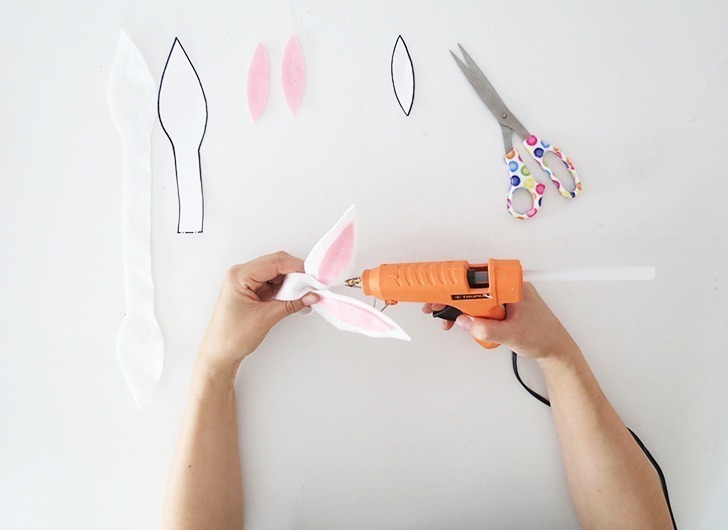 Make a knot with the white ears. 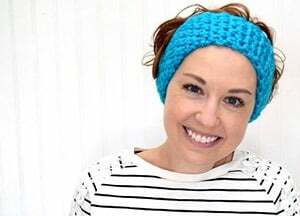 Don’t tie it to much and leave a space to place a napkin inside. 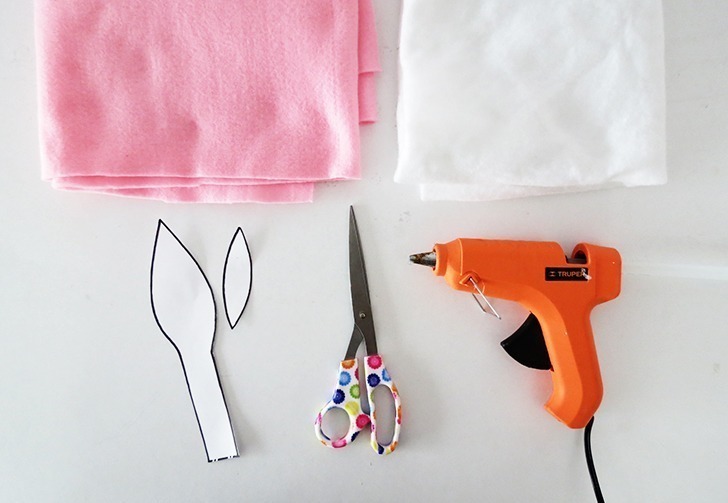 Use your glue gun to fix the pink part inside of the ears. 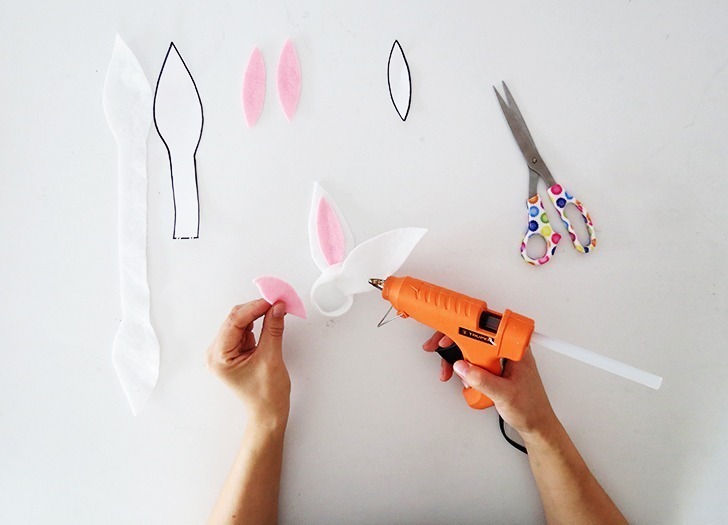 Add a dot of glue between the ears to hold them together. Place a napkin into the ring and done! 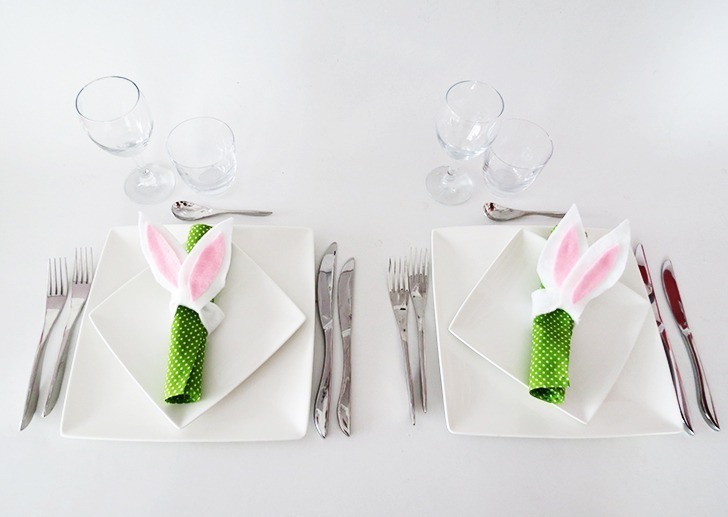 As it takes only five minutes to make you can easily craft a napkin ring for every one of you guest. I hope you enjoy it! 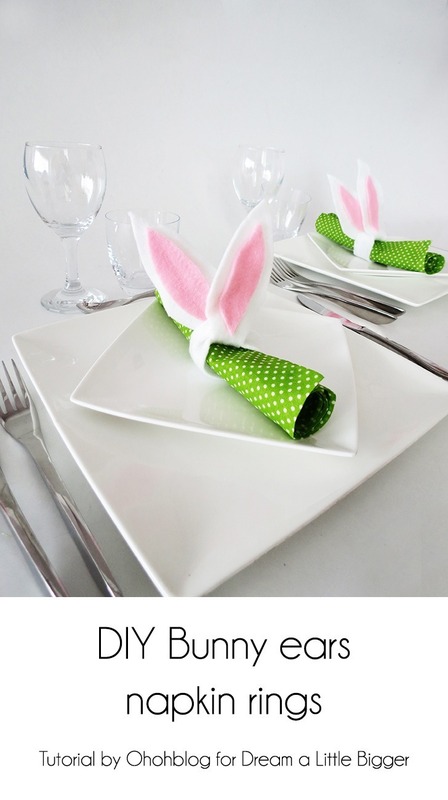 If you are looking for more Easter decor ideas, you may like those DIY Easter eggs.